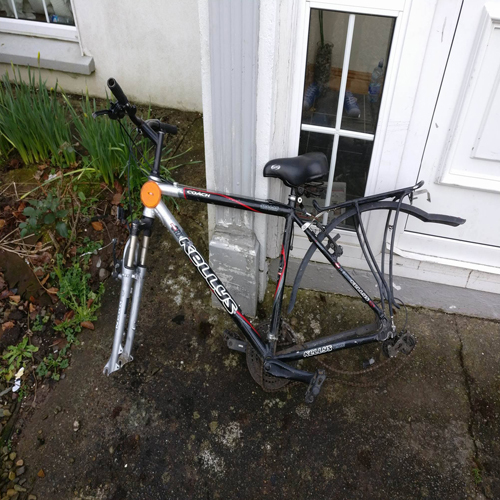 Twenty-eight bicycles were stolen from the University of Limerick campus last year. This averages to approximately one bike stolen every academic week in 2016. Bike security has become a major issue among students on campus, with many students dissatisfied with the security services. Tariq El Masri, had his bike secured outside the Students Union when it was stolen. “I locked up my bike in the morning and came back the next morning and it was gone,” he said. Mr El Masri had his bike secured with a lock, which was all that was left by the thieves and has become frustrated with the lack of secure spaces for bikes. 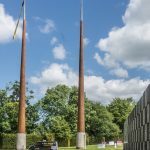 “UL has got loads of breath-taking views and honestly is one of the nicest places in Limerick, but that along with all the random entrances about and that new bike path directly linked to the city, it just gives anyone who has malicious intentions easy access and numerous escape routes,” he added. Mr El Masri’s bike was never recovered and he expressed that he was mostly “disappointed in UL” for not providing enough safe secure places for bikes. Sean Muldoon had most of his bike robbed on campus last week as thieves stole the front and back wheels off his locked bike. “I cycled into a lecture last week and I ended up walking home and I forgot about my bike. I went back to get it this week only to find that the wheels were after being stolen. Of all things, they took the bloody wheels. “I was pretty disgusted when I saw it, they obviously pulled the back wheel off because the gears there are slightly bent too and the saddle was twisted fully backwards as was the front reflector,” Mr Muldoon said. The damage was so extensive that Mr Muldoon was advised to buy a new bike, as fixing his old bike would end up costing too much. 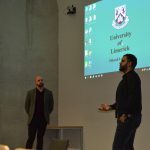 Ross Higgins, of Limerick Smarter Travel advised students to avail of the bike hub behind the Fountain Building and to use a heavy duty lock when securing the bike’s frame and wheels. “UL Security has told us that there are on average 12 bicycles per day parked on campus with no lock and that approximately 50 percent of bicycles have locks that are useless. “Shoelaces are sometimes used,” Mr Higgins added. Garda O’Sullivan of Henry Street has urged students to take up the Bicycle Registration Scheme. All you have to do is email Garda Grogan the serial number or go to the Students Union on Wednesday to speak with a Garda Officer.